The Dragon Society International is a world class Martial Arts organization made up of top tier professional instructors from all over the world. 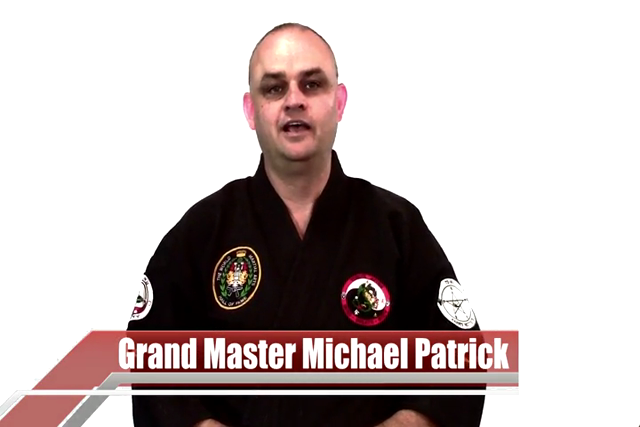 We have worked with some of the largest organizations and biggest names in the industry all over the world to provide advanced training curriculum for students of all ranks all the way through 10th Degree Black Belt. 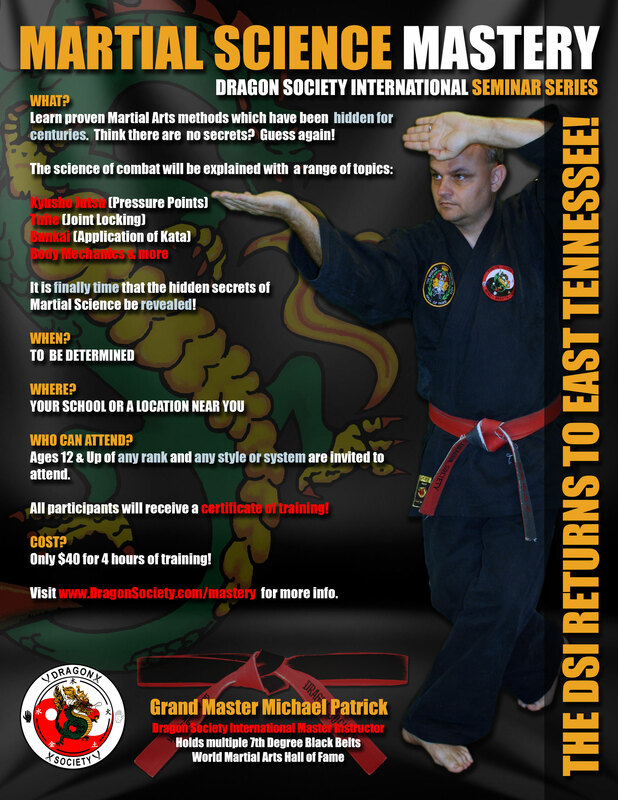 Founded by Professors Rick Moneymaker and Tom Muncy over 30 years ago, the DSI has developed tens of thousands of Martial Artists. We have literally traveled the world sharing our vast expertise in the hidden secrets of the Martial Arts. 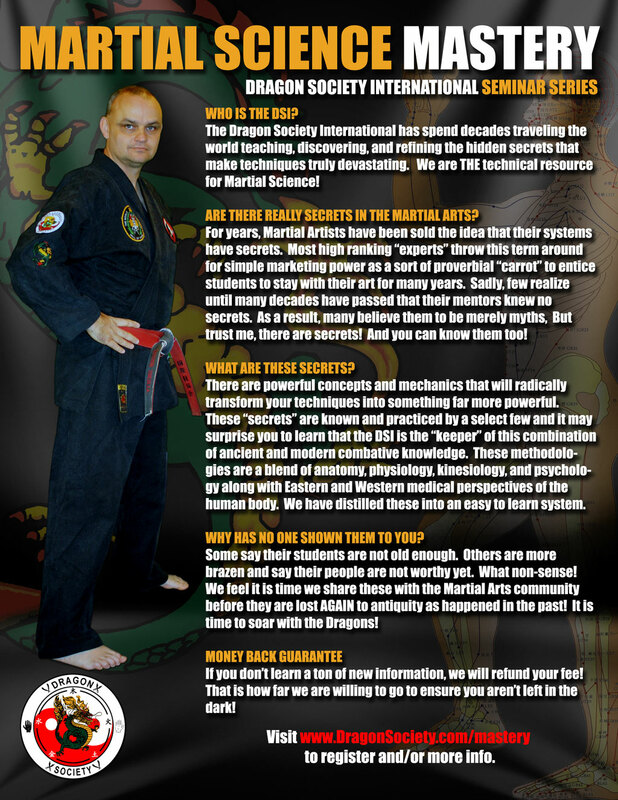 For years Martial Artists have been sold the idea that their systems have secrets. Most high ranking “experts” throw this term around for simple marketing power as a proverbial dangling carrot to entice students to stay with their art for many years. Sadly few realize until many decades have passed that their mentors knew no secrets. As a result, many believe them to be simply myths. But, trust me, they are every bit as real as you and me. What are these secrets? And why has no one shown them to you? Is it because you are not worthy as many have been told? Do these secrets really exist? Does anyone even know them? The answer is a resounding “Yes!” These powerful concepts are known and practiced only by a select few and it may surprise you to learn that the DSI is known as the proverbial “keeper” of this combination of ancient and modern knowledge. Fortunately for you, we believe it is time we share these with you! Of course you deserve to learn and we want to ensure you do! As you can imagine, not everyone is happy with us for exposing this knowledge but we cannot stand to see it hidden and want to elevate all Martial Artists to higher levels of skill! We have all been to the average Martial Arts seminar where you practice a few tired old techniques without really learning anything new. What a waste of time and money! But, these Martial Science Mastery training sessions are not your normal seminars. Far from it! We leveraged our extensive travel and research to organize these secrets into an extremely effective system of combat comprised of a blend of anatomy, physiology, kinesiology, and psychology blended with both Eastern and Western medical perspectives of the human body. And we have distilled these complicated concepts into an easy to digest curriculum you can learn quickly and easily! From your first session, you will experience a sudden growth in martial ability and discover what has been hidden by the Masters of old and almost lost to antiquity. You will learn to attack the vital points of the body (Kyusho Jutsu), joint locking (Tuite), proper body mechanics, managing fear, combative mindset, and so much more to neutralize any opponent instantly. You don’t have to be in the dark any longer. See what you have been missing! Admit it. You always knew there had to be way more than block, kick, and punch. Surely collective knowledge over the millenia produced way more than a block and kick to the groin or a punch to the solar plexus. Now the decision is yours. It is really up to you as to whether you want to soar with the dragons or keep doing what you have always done and hoping one day to be counted worthy to be taught some little tidbit that may or may not really help you. We cannot make that decision for you. Only you can decide to open your eyes and mind to what you have been missing and now is your chance. Think this all just hype? Let us prove it to you. If the training isn’t as spectacular as we promise, we will refund your money. No one else is willing to make a promise like that! So why not come see for yourself why the DSI is the world leader in Martial Science? But please hurry as we only have limited space for this session and the course is selling out fast! Join the ranks of other Martial Artists who are growing their skills by leaps and bounds; don’t be left behind! Reserve your place in Martial history before we have to close this session to new registrants.